Well things have been going a little slower with the TS400 that I would like. I broke the sparkplug boot and will now have to wait until we get back from Europe to fire it up. That’s OK though as the keys didn’t get dropped off with the bike and are in the mail. And there is still the issue of the headlight. 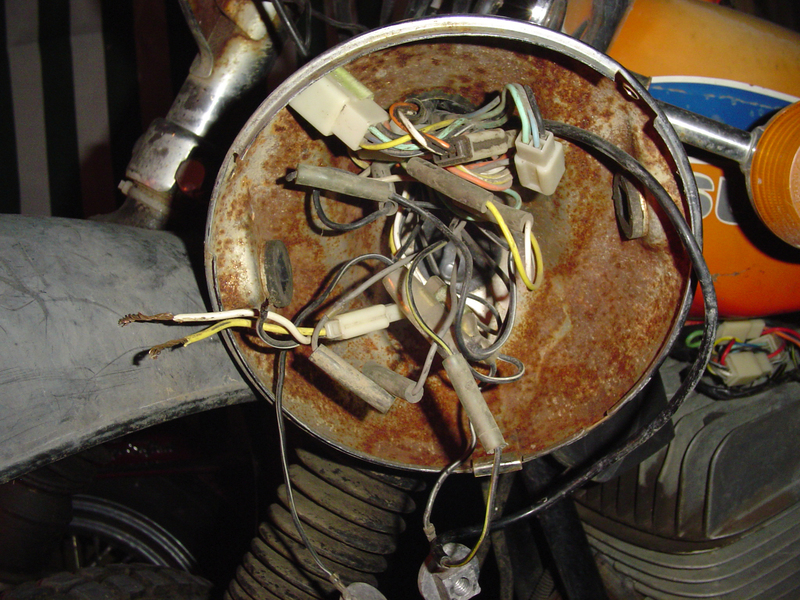 It seems most of the bikes wiring ends up running through the headlight assembly. I wish I knew what they were all for! The shop called and said your sparkplug is in, what should I do? They should already know we won\t be back for a bit. But if you wanted to call and remind them that would be awesome.